ANTI BLUE LIGHT--Anti harmful blue ray, provide all-day protection, against the detrimental effect high energy visible blue light and UV400. REDUCE EYESTRAIN--Enjoy your digital time, NO worry about eye fatigue, blurred vision and headache. SLEEP BETTER--Better sleep for you, blue blocker for your eyes and guardian for your health. 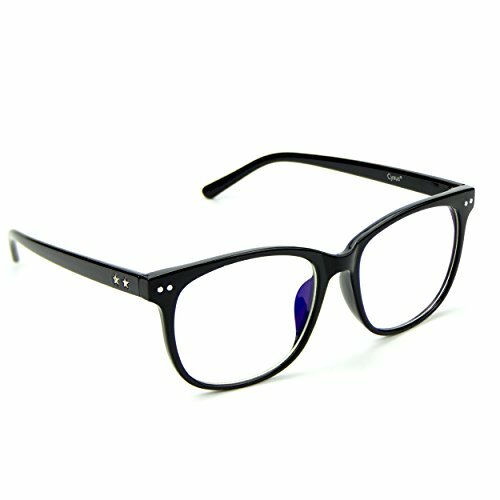 TRANSPARENT LENS--No color difference, bring you good visual experience. Publisher: Cyxus Technology Group Ltd. Studio: Cyxus Technology Group Ltd.